One of the common pairings is the German Shepherd Lab mix, commonly referred to as Sheprador or the German Shepherd Labrador Mix. Their weight may vary because of their mixed breed status, but the average weight of a Sheprador is 35 to 45 pounds at its full grown weight. The average size of a German Shepherd – Labrador Mix is around 20 to 26 inches at the withers or shoulder. Their average lifespan or life expectancy is 10 to 14 years, given the right conditions. The beauty of dogs is that given the same underlying genetic code inherited from a common ancestor, cross-breeding them was relatively easy. In this case, it is common for breeders to attempt to cross-breed two working dogs to come up with a hybrid that retains most of the desirable qualities of both. Let’s look at the interesting facts that you can expect from a puppy resulting from cross-breeding these two wonderful breeds, which include some characteristics, traits, and fun facts as well. According to animal authority website Pet MD, all dogs require a certain amount of exercise every day to sweat off their energy reserves. 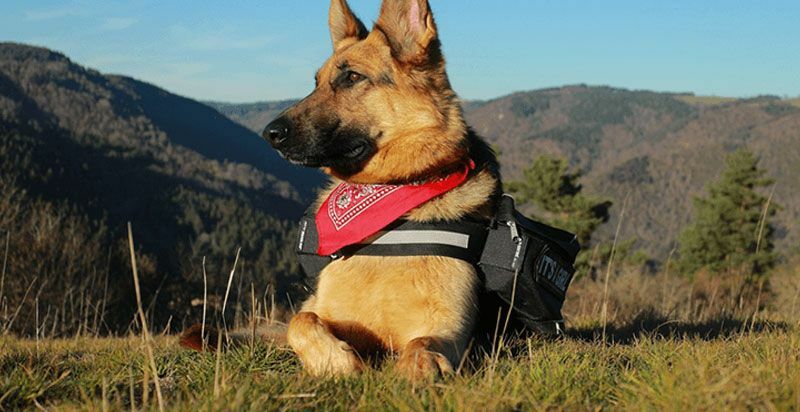 As the Sheprador retains the energy levels of both the German Shepherd and Labrador parent, this particular hybrid requires a lot more exercise to keep them happy, especially when they are full grown adults. If you’re planning to get this hybrid, you should set aside a considerable amount of time for exercise. 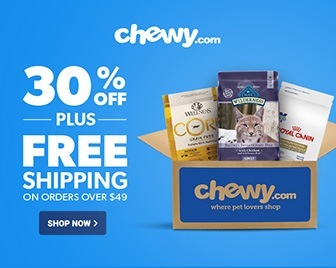 The Labrador Site states that a German Shepherd-Labrador mix requires AT Least two hours of exercise, and every minute of that is guaranteed to be intense and playful. Some experts imply that puppies could require more exercise hours so that they would not get bored and express that energy in a more distractive manner. You need to tire them out a bit to tame them, so they don’t rip your couch apart. Your German Shepherd-Labrador mix will be quite intelligent, and it owes that to its parents’ genes. 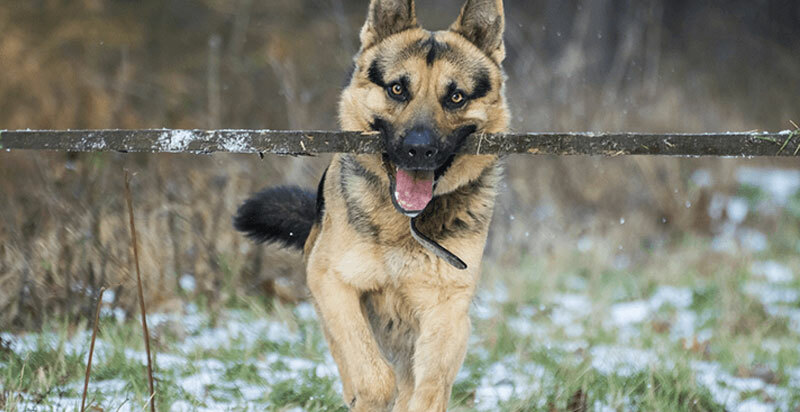 The German Shepherd, no doubt, is one of the most inquisitive dog breeds ever recognized by the American Kennel Club and other counterpart organizations abroad. 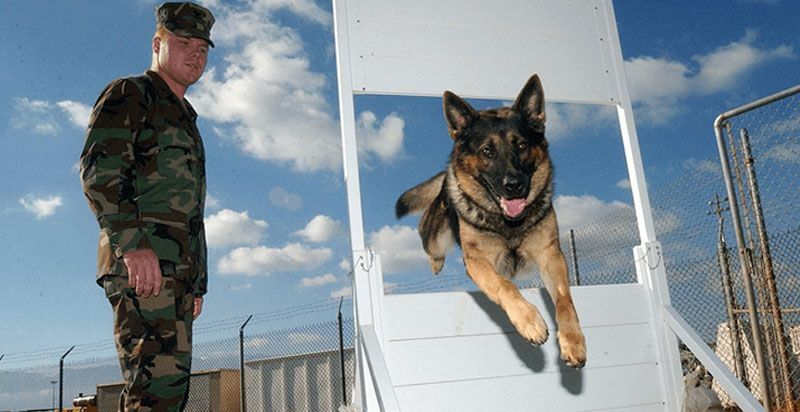 In fact, Mental Floss states that the German Shepherd is ranked third among others breeds regarding intelligence. This breed, which is said to be a development from German sheepdogs of old, can be trained to do a variety of things. 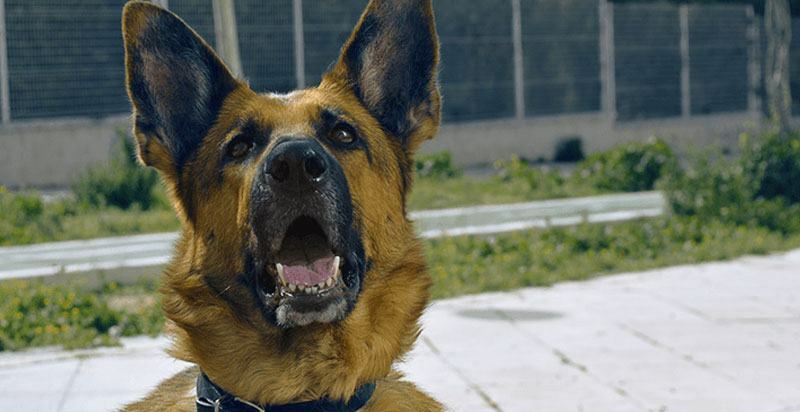 The German Shepherd is the top breed for K-9 work, next to the Belgian Malinois, like bomb and drug-sniffing in airports and establishments. With the Labrador itself being an intelligent breed, buying a hybrid of these two breeds mean that you have on your household a very smart dog. Because of their nature, it means that they’re also very curious and easily bored, so you always have to give some tasks to do to keep boredom from setting in. Crossing both breeds mean that their offspring could inherit one or more of the health issues that genetically plague their parents. Your dog can avoid these conditions, but you will need to make sure that each of the parents comes from the stock of a high-quality breeder. These breeders have programs that are working to remove or minimize these health issues with each generation of dog they sire. It is important that they have a natural diet or a healthy one, if possible, to avoid these common health issues. Ever wondered why German Shepherd-Labrador mix dogs have boundless energy? It’s in the blood. Both their parents descended from working class dogs. According to Pet MD, the Labrador Retriever is a genetic descendant of the Newfoundland breed that hailed from Canada. Historically classified into the lesser and greater Newfoundland dog, both of which were kept as sled dogs and helpers of fishermen working off the coast of Labrador. The modern Labrador Retriever is a result of breeding the Lesser Newfoundland dog to assist game hunters by retrieving their game for them. They are loud barkers, but they can hunt swiftly and quietly without barking or making a sound. On the other hand, the German Shepherd Rescue Elite states that the German Shepherd descended from efforts by Germans in the 1850s to come up with a single breed of working dogs. The first German Shepherd was named Horand Von Grafrath, a working dog that descended from generations of selected breeding and retained the qualities of loyalty, strength, intelligence and a pleasing appearance. The website also added that modern German Shepherd dogs descended from the bloodline of Beowulf, a second-generation progeny of Horand. In addition, the German Shepherd breed was crossed with wild wolves four times in its early history. Because of their high energy levels, hybrids of German Shepherds and Labrador Retrievers descent are also very playful, Reader’s Digest states. Playtime is considered an exercise for these dogs and helps them expend that energy and avoid being bored. Unfortunately, if you leave them on their own, their playfulness could become a little bit destructive, especially during the puppy phase. A German Shepherd-Labrador mix will need a good supply of dog toys to occupy their mind and satisfy one of their “nasty” habits: chewing. In addition, avoid stuffed toys as they are easily perforated and the contents accidentally ingested by your dog. The size of the toys should also be proportionate to the dog’s size, to prevent swallowing and choking. Regarding temperament, this mix breed is not an aggressive type and has a gentle demeanor. They inherited both the friendly nature of the Golden Retriever and the German Shepherd. Just ensure that their energy levels are sufficiently managed so that they will not develop anxiety-triggered aggression. Both of its parents have a thick overcoat, so you can expect that the German Shepherd - Labrador mix will shed a lot of its coat at certain times of the year. Some of their coat colors include solid or combinations of black, white, blonde, brown, or black and tan. They can also have a brindle coat, depending on their genes. Some can also be all black or all blonde depending on how strong the dominant genes are. If you’re planning to get one, it would be a good idea to invest in a vacuum cleaner as well. You don’t want pet fur lying around because dander can trigger health conditions in your children and family members, like asthma and allergies. If you're not sure which vac to choose, Spotless Vacuum has put together a useful list of the best models for pet owners. You’d also have to prepare yourself for an extensive care and grooming regimen as far as your pet’s coat is concerned. Purchase a pet brush because you will need it. These dogs require frequent brushing to manage their otherwise massive shedding. How often? Well, Animal Human Society says that you’d have to spend some 10-15 minutes every other day just brushing your pet’s magnificent coat. And vacuuming the shed fur afterward. That’s not a lot; at least, you only have to bathe your Sheprador once a month. Last but not the least, both the German Shepherd and Labrador Retriever breeds are trained to be submissive to their human owners. Their submissive behavior means that these dogs will always want to please you, and they’ll work hard to gain your affection as well. If you own a German Shepherd - Labrador mix, you can expect it to be trained easily, and to be extremely loyal to you and your family. It’s in the genes, and in their hearts to always want to impress their owners. You’d have to invest some time in training and teaching your dog to develop communicative skills to enhance your relationship. However, just because of their inherent sociability from both the German Shepherd and Labrador genes, you’d still have to work at breaking them in socially as early as the puppy phase, AKC suggests. These are just 7 of the things that you can expect out of getting a German Shepherd-Labrador mix. This particular hybrid has many other tricks up its sleeve that can certainly appeal to the hearts of any dog lover. However, the fun doesn’t end there. The German Shepherd Labr Mix also has variants like the Sheprador Border Collie Mix, Chow Chow Mix, Chihuahua Mix, and more mix dog breeds. The Sheprador genes are simply more dominant when mixed with these other breeds. Did you enjoy this list? I had fun compiling this list as both the German Shepherd and the Labrador Retriever are my favorite dog breeds. Maybe you can even consider adoption.t If you had the same enjoyment I had, feel free to share your thoughts in the comments below, and spread this article to your friends!